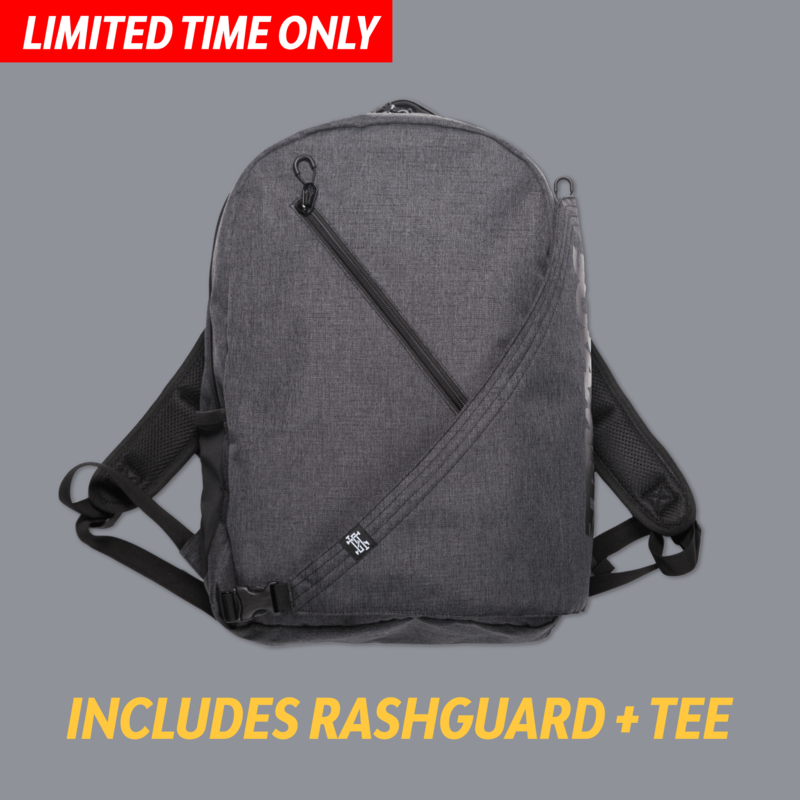 Home Scramble Lucky Backpack – Tee and Rash Combo-Breaker! For one weekend only! The Scramble Lucky Backpack special offer. With this offer you get the Scramble Kimono Backpack, PLUS a mystery rashguard and a mystery t-shirt. Little known fact: The Scramble Kimono Backpack was originally going to be a space rocket, but we changed our minds and made a backpack instead, because space rockets actually don’t have all that much space for you to put your jiu jitsu gear in. This is a lucky dip style offer so we will not refund or exchange unless the item is defective or there has been a shipping error.